Here's a superb new online slots from Swedish Game developers Elk Studios. There is a certain element of dominance and superiority when it comes to entering a large arena and doing the Spanish tradition of taming the bull. The adrenaline just rushes through your veins when you hold up that silky red blanket and wait for him to charge you with rage. If you wouldn't like to enter the area but would love to win victory over the bull, then your in luck, because there is a new online slots game that can also win you prizes as well as victory. 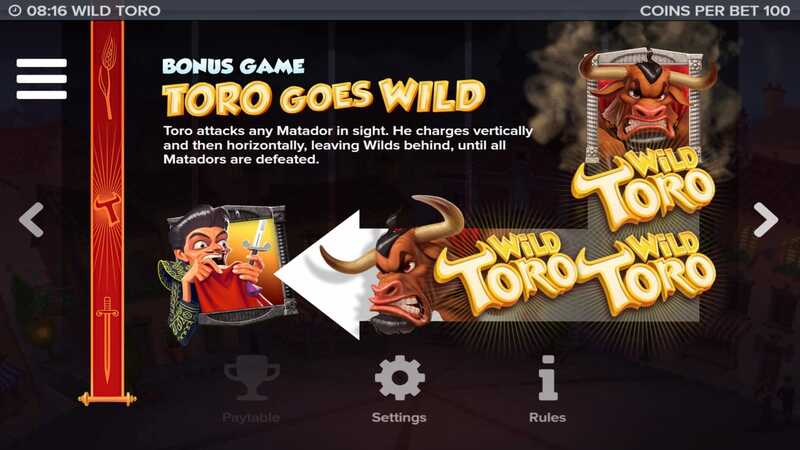 Designed by the people behind Elk Studios, Wild Toro is known amongst all players, not just Spaniards, to be a game that can get your blood pumping when playing at any casino online. It's a deposit bonus slot game that only the brave can enter, and only the most determined can win the prizes that they eagerly desire! If players want to know about a casino game developer that uses both mathematics and art to create such fantastic products, then Elk Studios would be one for you to take great interest in. Born and raised in Stockholm, Sweden, the developers have won great success in getting tens of thousands of players to try out their game, and getting their servers to process hundreds of transactions in a matter of seconds. For players that have gained such a great experience from their other successes like Bloopers, Champion's Goal, and Taco Brothers, you can be sure that you will feel the motion of the game from playing Wild Toro! If you love promo's, get the best UK casino bonuses. As the only opponent that stands in the bull's way, you have to be prepared for whatever direction the magnificent horned create would come charging in. And once you've placed your bets and press the play button, oh boy, you better have your feet on the ground! But what will keep your motivation up to defeat the bull is the fact that there are many symbols that relate deeply with the Spanish culture that can double, triple, or even multiply your winnings by tenfold. Roses, oranges with knives, fans, as well as gold, silver and bronze coins keep your stakes high when they match on your 5 reels. But as the bull's opponent, it's important to keep your eye out for whatever may come your way, especially with the bonus symbols that could appear in front of you. WILDS: Seen as the traditional icon on most games, the symbol substitutes all others except for the walking WILD and the Matador SCATTERS. Get lucky and see only this symbol on a wild, they get the highest payout. Walking WILDS: Seen as the bull himself, he moves from left to right with each consecutive spin on the reels. Matador SCATTERS: Seen as the original Matador in the game, he activates the re-spin BONUS FEATURE when 3 appear on the reels. Toro Goes Wild BONUS FEATURE: Activated when 3 matador SCATTERS appear in the game. Every one of those symbols that show up on the reels, the player gets another re-spin, which heightens the chance of them winning more than what bet they've placed. No matter how much peril may come your way, there's always a way for the Matador to claim victory over the bull with rose petals falling from the skies above! They don't call Spaniard hot-blooded for no reason. Taking up the ancient custom of dressing up as the majestic matador and stepping foot onto the sanded domain where the aim is to tame the wild beast is enough for any foreigner to dance to the strum of the Spanish rhythm. The best thing about Wild Toro is that players don't have to cross countries to get that experience; they can get it at home! And with a high RTP rate, players are certain that they will receive way more than what they've put down for their stakes. 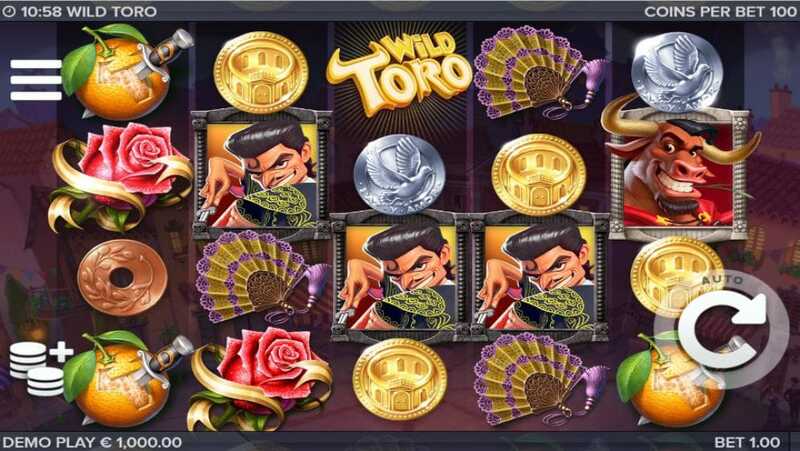 Play Wild Toro today and claim victory as the great Matador on this casino game! If you enjoyed Wild Toro then you might also like Secrets of Christmas.